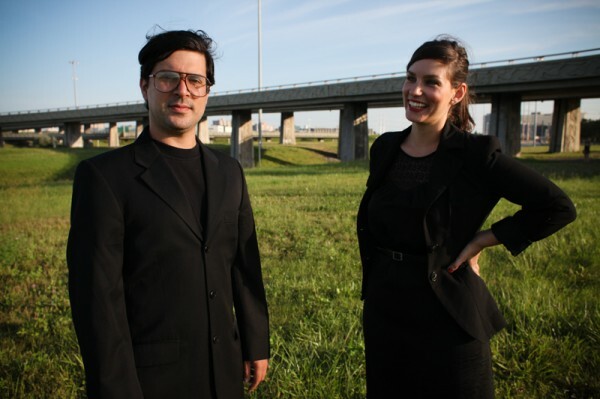 This Saturday October 12th, ensemble Wapiti will perform Morton Feldman’s “For John Cage” for violin and piano in an intimate concert at la Chapelle historique du Bon-Pasteur. Daniel Áñez and Geneviève Liboiron, the charming and talented members of the ensemble, sat down with me recently to discuss, among other things, their relationship with this piece. Geneviève: Our first concert as an ensemble took place about seven months ago at the National Museum of Bogota in Colombia, where we played the piece by Morton Feldman that we’ll perform for Innovations en concert. Geneviève: It’s as though we woke up the beast. It’s not a work that can be sight-read, because the rhythms are too complex. It’s something we had to calculate, by sitting down many evenings in a row in order to decipher and understand the order of events. Daniel is especially good at this – at calculating every everything. This piece can’t be played by approximation; it was a long learning process. So, is it correct to say that you approach this music in a very precise manner? Geneviève: …always finding the smallest common denominator of time in order to, afterwards, understand who arrives first at any particular entry. It’s clear that this work defies certain norms, especially in respect to the expectations of the audience. What place do you think it holds in society? Daniel: There have been a number of debates regarding taking art out of the museum, and other things like that – we’re talking about art that takes place in the street, and other unfamiliar spaces. This period of Feldman’s work – where he pushes the length of his pieces to the extreme – is, I think, a much more sophisticated way to push music out of its usual context.